Sheffield's parents and their children have just 9 days left to submit their online secondary school place applications before the 18th October noon deadline, failing which they will have to submit a paper application to be delivered to by the 31st October. So it's better to deal with the submissions now to avoid missing these critical deadlines and thus being subject to ones child being placed in an out of catchment area school. Especially as demand for Sheffield best state schools remains extremely high, with all of the top ranking schools heavily over subscribed. 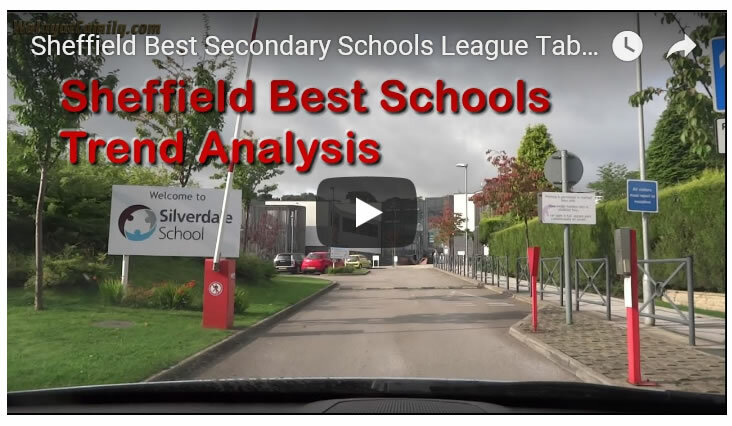 For instance SIlverdale School currently ranks as one of Sheffield's best state schools, which last year was over subscribed by 70%, this despite 1/3rd of places at the school being made available to out of catchment applicants. Now the schools management is seeking to expand Year 7 intake for 2019 from 180 places to 240. Which if it goes ahead will mean that 50% of the schools admission will be from outside of catchment.